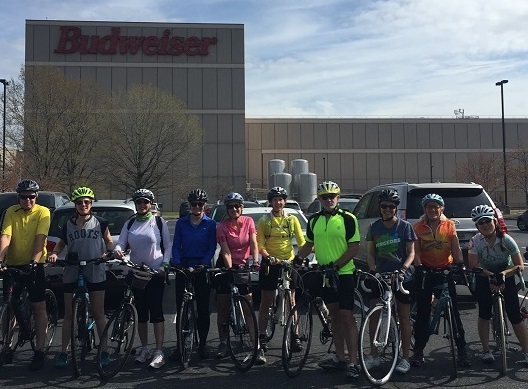 Join us for this scenic and low traffic spring bike ride starting at the Budweiser Plant in Cartersville, GA. They allow bike riders to park at the plant and ride. 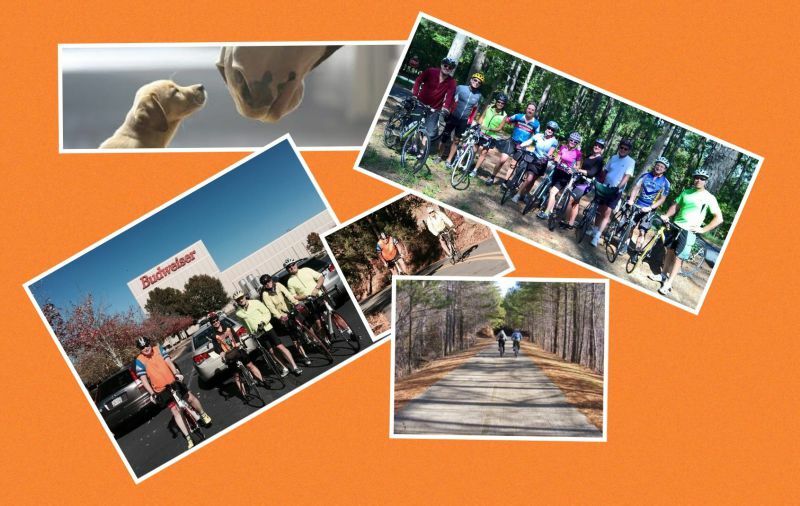 Our plan is to bike ride the 31 mile BBC route at a 2 wheel moderate pedal pace (not too fast, not too slow) and enjoy the country's rolling hills and amazing fall scenery. There are hills, some more challenging, please note: this is NOT a flat greenway or Silver Comet ride, or speed race to see who can finish first. We will plan to stay together as a group, stopping every few miles to re-group & re-energize with a few gulps of water or Gatorade. Up front notice: This is a no-drop ride so no one will be left behind, but if you can't keep up with the group and/or follow the bike course direction markings, you may be asked to turn around. Road bike strongly recommended, unless you can keep up with the other cyclists on a hybrid bike. For safety, helmet required to be worn during this event. No helmet, no ride. Wear light or bright colored clothing and working lights on both front and back of your bike for visibility. We recommend a road bike although you can ride a hybrid. Budweiser lets riders park in the lot to the right. Park on the side away from the factory along the edge of the lot (they are closed on Sundays). Please do not litter, change in the open, or urinate in their bushes. Itinerary is subject to change before and during the event. Water and bathrooms are very limited along the route so we suggest bringing your own water or Gatorade and snacks. Directions: North on I-75 to Cartersville-White Road exit, EXIT 296. Keep right and take the ramp towards White. Merge onto Cassville White Road NE. Turn right onto Old Cass White. Old Cass White becomes Busch Dr NE.